You can also pre-plan your funeral which will protect against rising costs, give you peace of mind, and also reduce the emotional stress and financial burden to surviving family members. The following package selections are offered for customer convenience. 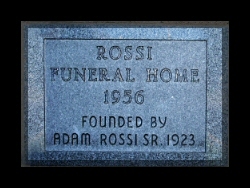 Services of the funeral directors and staff, transfer of remains, embalming, other preparations of the body, use of facilities for viewing/calling hours, the use of facilities for the funeral ceremony or place of worship, casket coach (hearse) limousine, sedan, service / utility vehicle and printed material. This includes removal and sheltering of the remains, local transportation to the cemetery, authorizations, and the necessary services of the funeral director and staff. This includes services of the funeral directors and staff, transfer of remains, use of facilities for viewing/calling hours, and/ or use of facilities for a memorial ceremony. Includes many different options. Please contact the funeral home for more information.